Irresistible, no? 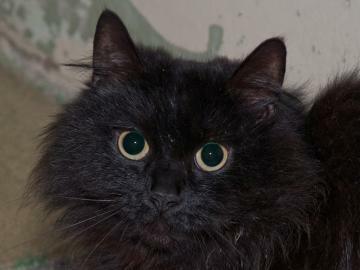 Spaz is a spunky longhaired male. He’s been declawed and neutered, and shelter staff thinks he’s about four years old. Spaz is available for adoption through the Capital Area Humane Society in Lansing, MI.